Each year, CDAE 171 Community and International Economic Transformation brings students into the, rewarding, difficult, and often surprising work of applied community development in Peru. Sparked by work with Special Olympics, Sam Donnelly '20 aims to shape education policy. Morrill Hall is the home to CDAE and is named after Justin Morrill, the Vermont senator who founded the land grant college system to serve the public interest. 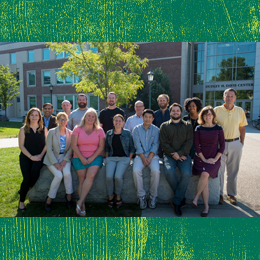 The Department of Community Development and Applied Economics maintains long-standing relationships with community partners in Vermont and around the world. CDAE uses economic, social, and environmental principles to identify community needs, analyze problems, and advance sustainable solutions in partnership with organizations and communities. We understand that strong communities are founded on socially responsible entrepreneurs, policy leaders and public communicators working together. First step - prepare ourselves. CDAE offers hands-on, transdisciplinary learning and experience that empowers graduates to make professional contributions to their communities and the world. CDAE supports sustainable local and international community development through interdisciplinary research, education, and outreach that serves the public interest. Building and developing community connections requires connecting with your community. CDAE is a unique and innovative department. We were doing Service Learning before it was called "Service Learning" because we found it to be an effective, rewarding way to teach and learn. CDAE works with countless local, regional, and international partners to give students experience in long-term project development, planning, and execution as well as the background, context, and lenses through which to view their work. It is our belief that pairing traditional classroom learning with applied experience in the field makes for the best graduates, and, most importantly, global citizens. CDAE faculty members are experts in their field, experienced in their practice, and prolific in their contributions to academic literature. 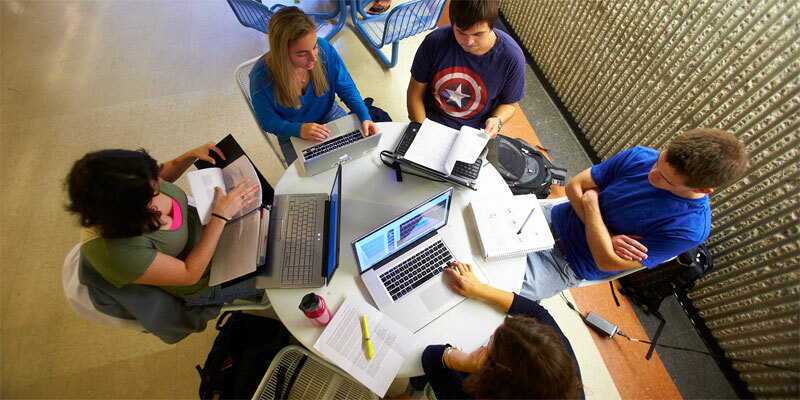 They engage students with applied learning, relevant worldly problem-solving, and theory to back it all up. Social Enterprise Day is an opportunity for students from across campus—and especially CDAE—to connect with professionals who use business as a force for good. This event was an extension of the foundation learning and work done in CDAE 166. Our department integrates action with learning. We house courses in media literacy, news writing, and we underwrite UVM's student-run free-form radio station, WRUV FM Burlington. 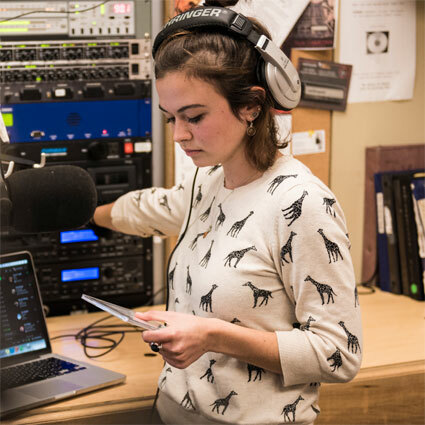 Tate Kamish, above, Public Communication minor DJs at the station adding skills to her experience in media and communication.